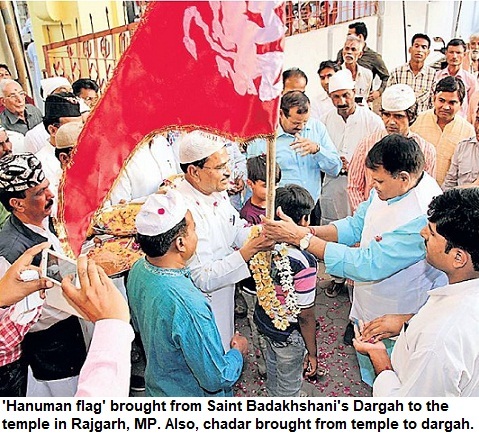 Indscribe's Blog: News and Views about Indian Muslims: Mumbai blasts & Maoists: Thousands living in camps in Chhattisgarh but its Naxalism, not Terrorism! Mumbai blasts & Maoists: Thousands living in camps in Chhattisgarh but its Naxalism, not Terrorism! It's not only the terrorism from outside but the terror within that is equally fierce though we may choose to ignore it. 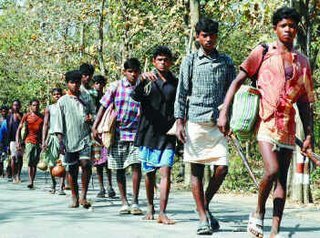 Thousands of tribals are living in camps in Southern Chhattisgarh in India's centre just because the state has failed to protect them. A government-sponsored army of poor tribal villagers (known as Salwa Judum movement) who have been given guns are thrown in the front to fight the heavily armed Maoists. The result: Hundreds of deaths and as many injuries, abductions like on Monday when 33 died, 150 were abducted by Naxals and 400 left injured. But Maoism appears fashionable. Our media lets it go as a peasants' or poor's revolution without bothering to check t he turh as the romance associated with Naxalbari and Charu Mazumdar seem to cloud their vision. The reality is that long back Chhattisgarh police and BJP government of the state surrendered before the Naxals. The pet project of Congress leader Mahendra Karma, a bete noire of Ajit Jogi, led the Salwa Judam campaign and the BJP also supported it. Now we have a situation in central India where camps like Errabore where thousands of tribal families live and no body outside Chhattisgarh gives a damn. KPS Gill was called as security expert but nothing happened. It's not Punjab but a state with dense forests and Naxals are no less organised. There are numerous such camps in the state now. Just imagine the gravity of situation when 500 armed Maoists attack police, CRPF, SAF, police stations and entire towns. This happens in South Chhattisgarh in Bastar and adjoining districts and North Chhattisgarh (Ambikapur, Sarguja etc). There is no law-and-order, it's total war in this mineral-rich state. Often they take control of whole towns but the reports are not mentioned. How these hundreds come out. Sitting in metros the politicians hardly pay attention to the fact that we have a mini-Darfur in India's belly. Entire villages have been evacuated. At Konta, 15000 live in a camp fearing Naxal attack anytime. At Errabore where hundreds of armed Red Terrorists attacked, the police was no where seen and 31 were left dead. The fate of 170-odd abducted is not known. Until a decade back the politicians used to claim that they were not Naxals just Communists who venture into MP and Chhattisgarh from Garhchiroli (Maharashtra) and today we've almost lost Chhattisgarh. A senior officer recently said privately that had it been a bordering state near China or Nepal it would have been impossible to keep Chhattisgarh from seceding. Isn't it horrifying? But do English news channels (or even Hindi ones) care? Killings of 50, 30, 15 villagers has almost become a routine every month apart from murders of police but these news rarely get the attention. Rather a suicide in Okhla or a Matuknath case from Bihar keep the media occupied. For Rs 1500 odd a month these villagers are combating Naxals. What a shame that Indian state has left law-and-order in the hands of poor and hapless people. The children are not attending schools and hundreds of villages are ruined. The fact-finding team of historian-writer Ramchandra Guha, BG Varghese, Harivansh (Prabhat Khabar, Ranchi), Nandini Sundar et al that had visited the state had in its independent citizen-initiative report said that the State had outsourced-law and even Salwa Judum activists were accused of gang rapes, arson and violence against innocent. Meanwhile, the Red Corridor of Naxals now stretches from Terai (UP) to as far as Karnataka. However, the BJP state government has failed to control the Maoists and the Red Terror has only spread since it came to power. This country is also bleeding from within but hardly an action plan is in place or even discussed for this Maoist crisis that has acquired such a serious dimension. When will Naxalites would be termed as terrorists? Is their violence is justified (media-sanctioned) because they draw inspiration from Mao? And will the BJP's allied organisations who intensifty their rhetoric about terrorism ever think of taking the Naxals head-on in Chhattisgarh? Such insurgency couldn't have been ignored in any other country, surely and ultra-leftists/Red Militants would surely have been called terrorists in the press of any other country except us.